You have some mind bending mystery legacy challenges to tackle in order to uncover the rightful heir to Nanna's estate. There are as many as seven locks to open and that can only happen when you manage to solve the puzzles. Find all the objects she is hidden away. 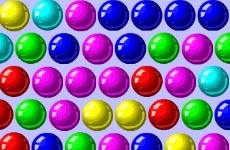 You should look to score as many points as possible while playing this very challenging and very exciting online game. Read the game rules before starting the game play.